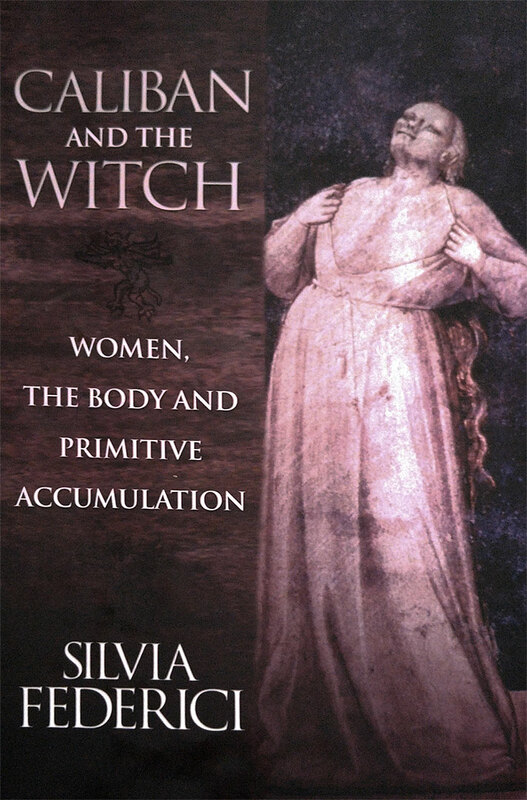 To the many witches I have met in the Women&apos;s Movement, and to the other witches whose stories have accompanied me for more than twenty-five years, nevertheless leaving an inexhaustible desire to tell, to let people know, to make sure that they will not be forgotten. To our brother Jonathan Cohen whose love, courage and uncompromising resistance to injustice have helped me not lose faith in the possibility of changing the world and in men&apos;s ability to make the struggle for women&apos;s liberation their own. To the people who have helped me to produce this volume. I thank George with whom I have discussed every aspect of this book; Mitchel Cohen for his excellent comments, his editing of parts of the manuscript, and his enthusiastic support for this project; Ousscina Alidou and Maria Sari for introducing me to the work of Maryse Conde; Ferruccio Gambino for making me aware of the existence of slavery in 16th- and 17th-century Italy; David Goldstein for the materials he has given me on the witches&apos; "pharmakopeia"; Conrad Herold, for contributing to my research on witch hunting in Peru; Massimo de Angelis. for giving me his writings on primitive accumulation and for the important debate on this topic which he organized in The Commoner; Willy Murunga for the materials he has given me on the legal aspects of witchcraft in East Africa. I thank Michaela Brennan and Veena Viswantha for reading the manuscript and giving me advice and support. I also thank Mariarosa DaUa Costa, Nicholas Faraclas, Leopolda Fortunati, Everet Green, Peter Linebaugh. Bene Madunagu, Maria Mies, Ariel Salleh, Hakim Bey. Their works have been a reference point for the perspective that shapes Caliban and the Witches though they may not agree with all that I have written here. This work is licensed under the Creative Commons Attribution-NonCommercial 4.0 International License. To view a copy of this license, visit http://creativecommons.org/licenses/by-nc/4.0/ or send a letter to Creative Commons, 444 Castro Street, Suite 900, Moutain View, CA, 94041, USA. First edition, 2004. Second, revised edition, 2014. Caliban and the Witch, until a recent reprinting, has been very difficult to acquire outside of a poor quality scan available online. With the release of a new edition, we were able to purchase and make a new, much higher quality scan of this text. OCR was then applied to the document and it was manually edited to correct transcription errors and formatting. This is the result of these many, many hours of work. This text was created using GitBook which allows us to track and version the entire text using git and the associated features. If you see errors, typos, or other issues, please create a discussion at our repo: https://www.gitbook.com/book/anarchivists/caliban/discussions. We&apos;ll do our best to correct errors quickly and update the text. We encourage you to purchase this text if possible to support Ms. Federici and her important work. If you have important or radical texts you&apos;d like transcribed or are interested in contributing to these projects, please contact @anarchivists https://www.gitbook.com/@anarchivists.